J. Libby. The Ladies' Garland. Philadelphia: J. Libby, 1839. Google Book Search. Web. 29 May 2013. J. 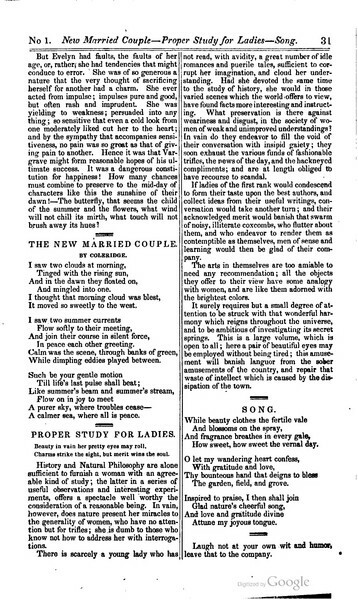 Libby., “The Ladies Garland, Volume 2, 1839, Page 31,” The Albert M. Greenfield Digital Center for the History of Women's Education, accessed April 24, 2019, http://greenfield.brynmawr.edu/items/show/2800.